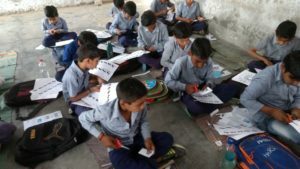 Socially India Included Foundation participates with schools for enhancing learning in young children, their interest, and participation in the class. We do this by bringing in specific projects where students see practical implementation of the elements of science and math they are learning in class. Not only that, they also get the equipment that they experiment with in the class to carry home and continue playing to learn more. 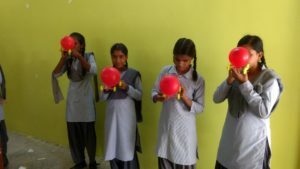 The learning by doing project is starting with a science project termed as I Love Science, a unique education model conceptualized and designed by SIIF technical partners, Ingenuity Edulabs, to help children develop an interest in science through fun and practical experiments. 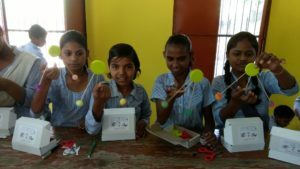 The main focus of the program is to allow hands-on science experiments for children, using low-cost, upcycled material instead of expensive and delicate laboratory equipment. The workshops are mainly designed for students from grade 6 to 8, where the students are eager to learn beyond the theoretical science they are taught. As per the curriculum in most education boards, science as a subject is introduced in grade 6, but in many schools there are no formal lab sessions till class 9. The absence of practical knowledge results in the study of science in a bookish, theoretical manner and most students view the subject as complex & boring. Our workshops hope to change this boredom into excitement. All workshops are designed to ensure that children understand the scientific concept by relating the topics at hand with everyday life. Students get an opportunity to enjoy experiments by observing the effect, rather than focusing on the mathematical readings & formulae. As an outcome, they will have a better, more sophisticated understanding of the topic when it is taught in higher classes in detail. All our experiments are mapped to the CBSE curriculum with the aim to achieve better academic performances for the student in the science subjects. Various topics included the workshops are: Electricity, Magnetism, Reflection and refraction of light, Acids and Bases, Newton’s laws and Mechanics, Sound waves, Microscope and plant cells, Air pressure, Electromagnetics projects and many more. Each participating student in the workshops receives the workshop kit with a complete set of material for the experiments, along with a session consisting of a full demo and explanation pertaining to the topic. The students are free to take their kits home to further explore and learn from them. 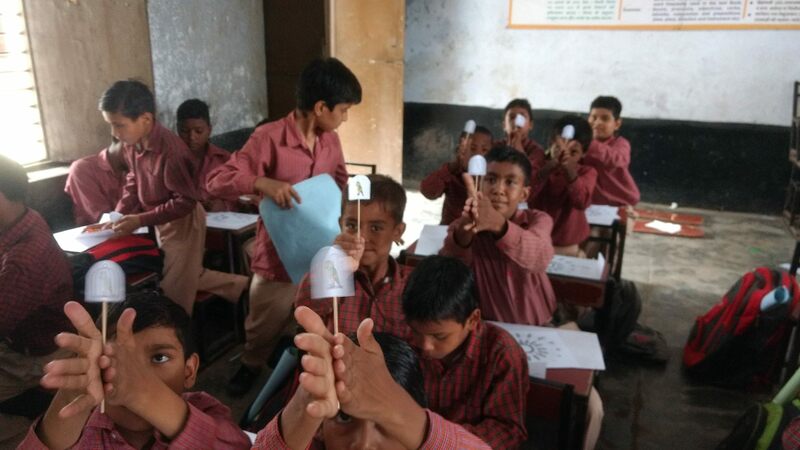 The program has been run at schools in Delhi, Noida and Gurgaon and a school for deaf students in Noida. Till now, more than 400 students of class 6th to 8th have gone through the program and immensely benefited from it. See our Gallery for some pictures of our work in action.